Shop online for 78 x-acto knife blades at discounts up to 70%. 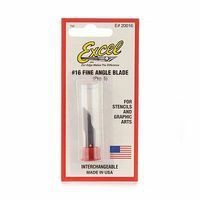 Excel Hobby Blades is ranked #1 out of 8 x-acto knife blades manufacturers, followed by X-acto, and Zona Tool Co.. These are Excel #2 Straight Edge Blades. This is a Package of Five #11 Blades from Zona Tool Co. These are the X-ACTO Zirconium Nitride Coated Blades For "A" handles. This is a package of Excel #16 Fine Angle Blades. This is the Stainless Steel Blades 15 piece from Excel Hobby Blades. 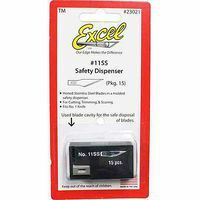 This is a package of Excel #18 1/2" Chisel Blades with 5 per pack.. This is a pack of five #9RX Retractable Blades from X-ACTO. This is a package of six 0.1mm Fine Craft Saws from Tamiya.:. 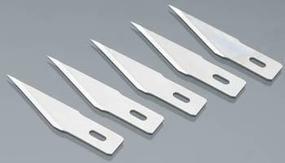 This is the Light Duty Replacement Blades (Fit K1, K3, K17, K18, K30 & K40 Handles) Super Sharp from Excel Hobby Blades. This is a Package of Five #11 Scalpel Blades from Squadron Tools. 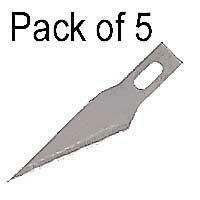 This is a package of Excel #19 Sharp Angled Blades with 5 per pack. This is a Package of Five #17 Chisel Edge Blades from Excel. This is the Light Duty Replacement Blades (Fit K1, K3, K17, K18, K30 & K40 Handles) - Super Sharp from Excel Hobby Blades. This is the Modeler's Knife Pro from Tamiya. This is a package of Excel #22 Curved Edge Blades with 5 per pack. This is the Stencil edge blade (5) from Excel Hobby Blades. This is a carded Concave Edge Blade with 2 per pack from Excel. This is the Tube of Stainless Steel Blades (2) from Excel Hobby Blades.